There were questions of a renegotiated deal of the December 2015 between Japan and South Korea. The South Korea Foreign Minister Kang Kyung-wha said their government would not be renegotiating the deal. This is a deal she made in an agreement with Japan involving comfort women and the announcement ended months of speculation. The speculation was over the criticism by President Moon Jae-in He was openly critical about the deal even as a presidential candidate for the seat of his predecessor Park Geun-hye. The presidential race took place two years ago and with President Moon winning it was speculated the deal would be renegotiated. This speculation rose again on December 27, 2017, as a Special Task Force, which is an independent investigation group looked into the deal agreed upon. This was done on the orders of President Moon Jae-in. When the task force announced its findings they concluded that the agreement made in 2015 was flawed. One of the conclusions was against the South Korean government who did not have direct hearings with the surviving comfort women along with other findings. 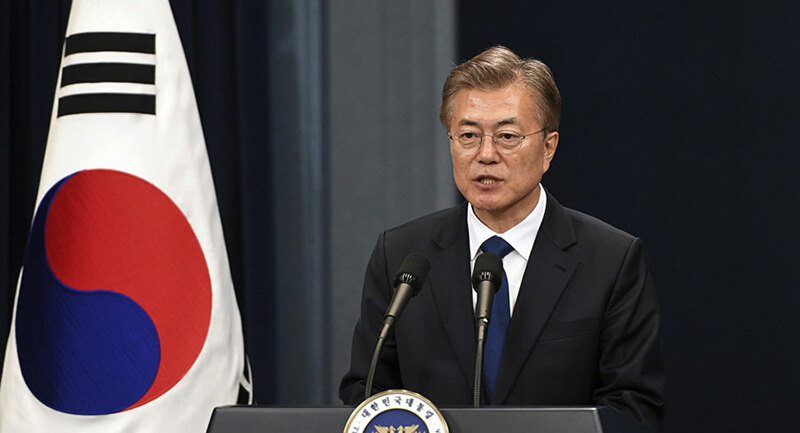 The assessment of the task force and President Moon Jae-in criticism about the deal believing the agreement deal was seriously flawed so that the issue could not be resolved involving the dispute with Japan about the Korean comfort women. Tokyo, Japan had a strong reaction to South Korea’s Presidents criticism and the special task force’s assessment of the deal. The Japanese Foreign Minister Taro Kono issued a statement in response to the critical assessment of the agreed upon deal. In the statement, Foreign Minister Kono issued a warning to Seoul, South Korea as to the possible renegotiation or revision of the 2015 deal that they would have a disagreement and the relationship would become unmanageable. 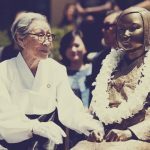 The comfort women is an issue The Japanese have attempted to make amends for in the 1990’s first in a 1993 statement by a former Chief Cabinet Secretary, Yohei Kono father of the current foreign minister. Then again in 1995, there was an apology made about the comfort women testimonies by the former Priminister Tomiichi Murayama for wartime atrocities. Finally, there was a fund established as the Asian Women’s Fund in an Atonement Project. The fund was to provide health care assistance and financial compensation for the comfort women stories. 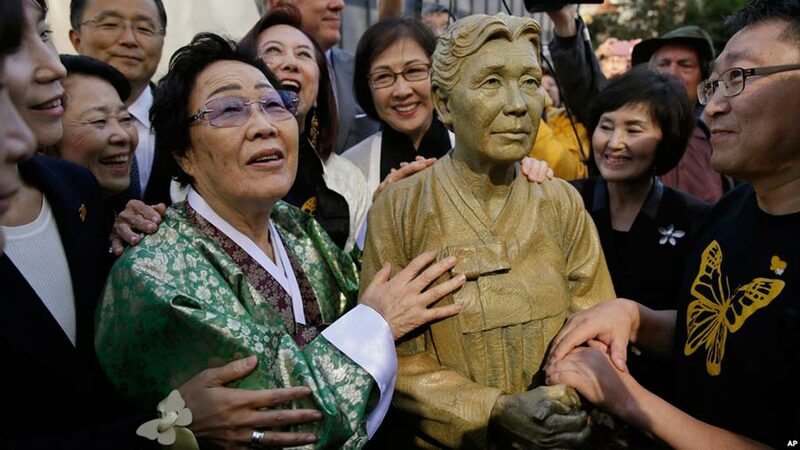 The statement, apology, and fund were found not to be enough to satisfy the South Korean comfort women survivors and the South Korean government. One of the reasons why is because they claimed it was not an official fund though it was established by the government of Japan. In Tokyo, they said the fund project was funded by private donations from the Japanese citizens. 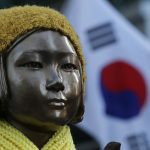 The women and South Korea continued to push for compensation that was official as a response from the government of Japan. The 2015 agreement was a way to end the debate between Japan, South Korea, and the women. The agreement was for a lump sum that would be a one-time contribution to a South Korean foundation set up for the survivors. The agreement was worded that this would be a final and irreversible resolution. Both countries agreed this would be the best solution even though there was criticism about the deal that would allow both Japan and South Korea to move onto more important issues they both face such as dealing with the growing North Korea problems and working with the United States. The administration of President Moon made the decision to stick with the 2015 agreement and Japan’s Kono warned a revision if requested would damage relations between the two countries. The Korean comfort women survivors who the agreement and fund included were mainly South Korean woman taken during World War II to be put into sexual slavery in Japan.